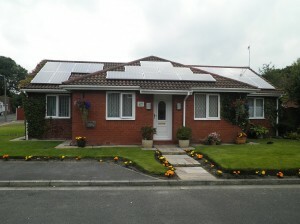 This detached bungalow in Astley Village has plenty of space on its south east facing roof. 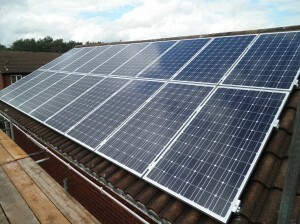 We installed 12 Hyundai 245W monocrystalline solar panels with a Fronius IG30 inverter. The yield projection for this system is 2319kWh per year. 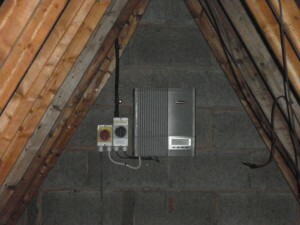 This detached house in Astley Village has a south facing roof. 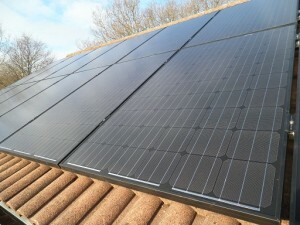 We installed 14 Phonosolar 250W monocrystalline solar panels with a Samil 3680TL inverter. 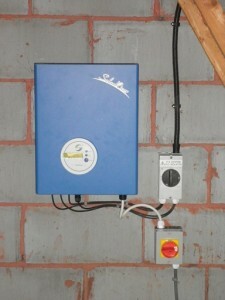 The yield projection for this system is 3320kWh per year. 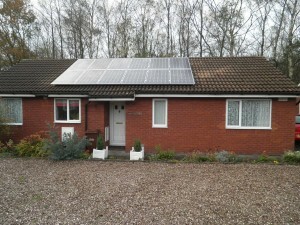 This detached house in Astley Village has a south west facing roof. 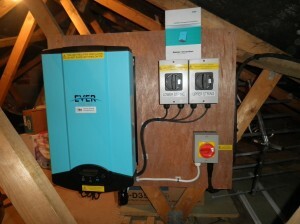 We installed 18 CSUN 200W monocrystalline solar panels with an Eversolar TL3200 inverter. 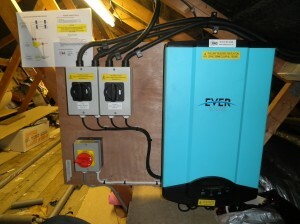 The yield projection for this system is 3136kWh per year. 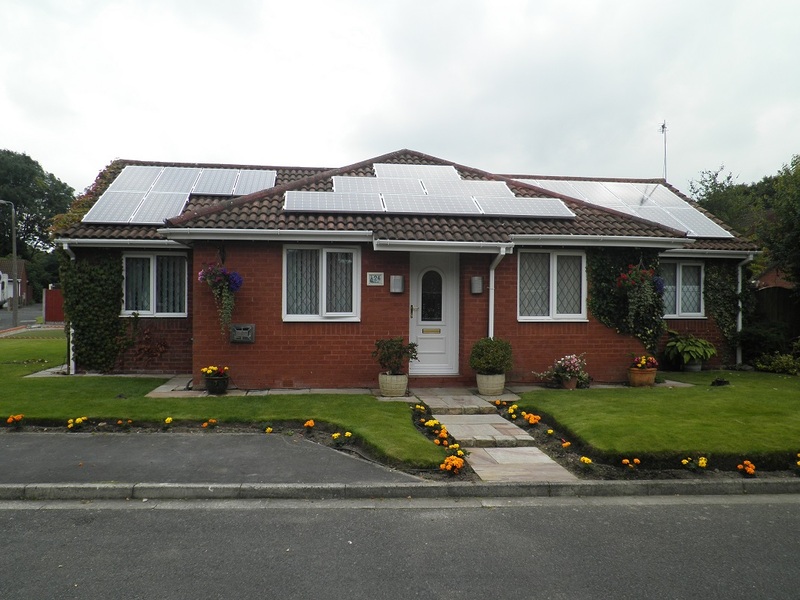 This detached bungalow in Astley Village has a hipped extension in the middle of the house. This means that the house has three west facing areas of roof. The yield projection for this system is 2693kWh per year.